This is a really exciting giveaway for me to host! I got together with Nucucina to give one lucky follower a bento lunchbox set. I recently posted on my facebook page about this lunchbox, and I have used it so many times since. As someone who always cooks enough for leftovers, as a new mom with rushed mornings, and as a fan of taking lunch to work with me to save some bucks, this bento lunchbox is perfect. Find my review below & enter the giveaway! Good luck! Sleek design for storage space - Check! 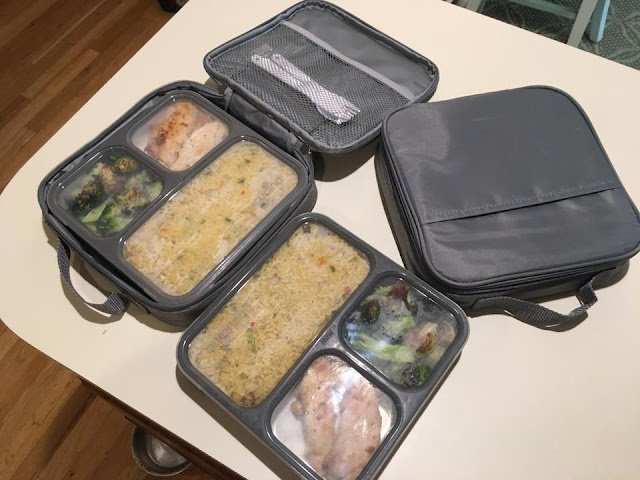 Insulted zipper case to keep food hot or cold - Check! and much more LOVES about this lunchbox! Generally, I have no control over how much I eat (sigh). 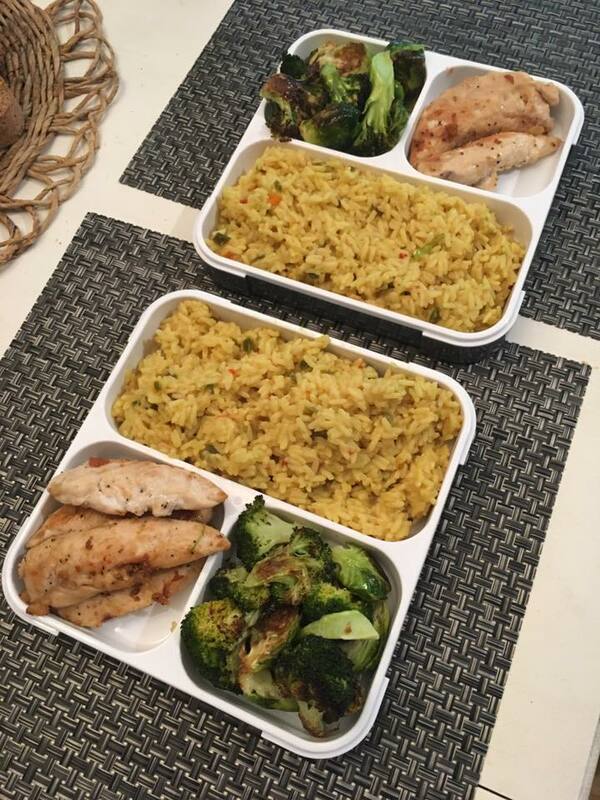 This is a problem for many, so the fact that the Nucucina box enforces portion control is a huge plus for me. 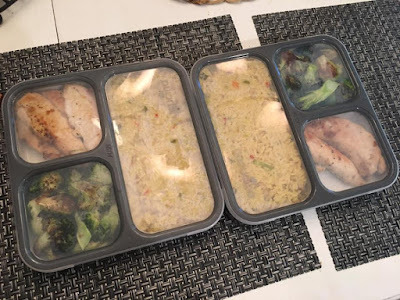 If I am planning on having leftovers for lunch the next day, I always be sure to make our bento boxes before putting dinner out on the table which also helps us not to over stuff! Another great feature is the slim and sleek design of this lunchbox, which fits perfectly in my office's small refrigerator, and in our cabinet for storing. The fact that the actual box doesn't get hot in the microwave (just the food does), makes it for easy handling as well! Separating food helps with certain flavors not mixing (who would want tortellini in their salad, am I right? lol), and prevents certain foods from becoming soggy. What are the down sides, you may be wondering. 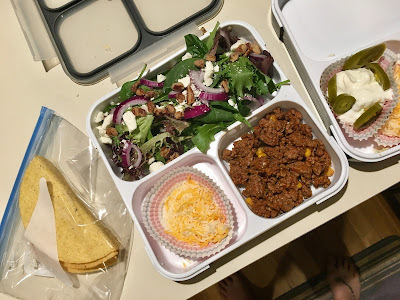 One of my concerns when I first got the bento box after making a taco dinner, was where am I going to put the sour cream and other wet condiments, and things I didn't want to be heated? An easy solution was using rubber or paper cupcake liners. It makes for items to be easily removed (sour cream, jalapenos, shredded cheese in cupcake liners below). My husband, Kevin, and I are big fans of this product and highly recommend it! As a new mom, I know this would even be a great product for kids, with separating their food & snacks! It's a great system to use on the beach, at the park, at the office, or anywhere else! Below is a rafflecopter entry form, and a random winner will be chosen on 7/28/17. Winner will be notified via email and shipping will be set up with Nucucina. Good luck to all!